Ultra high voltage (UHV) above 800 kV is the highest voltage level in use for bulk alternating current (AC) power transmission across long distances. State Grid Corporation of China (SGCC) is operating UHV grids to connect load centers to distant power plants and to improve network stability; India and Russia are planning similar networks. 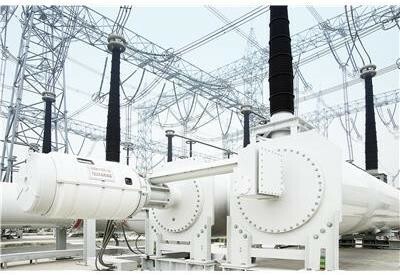 ABB was one of the pioneers to design and commission a UHV GIS, the ELK-5 at Jingmen substation for State Grid Corporation of China: first UHV transmission line in China. The design features circuit breakers with four interrupters in series, high capacity pre-insertion resistors and a very compact design. ABB has also supplied a metal enclosed ELK-5 circuit breaker at 1200 kV rated voltage for PGCIL’s Bina UHV test substation in India.